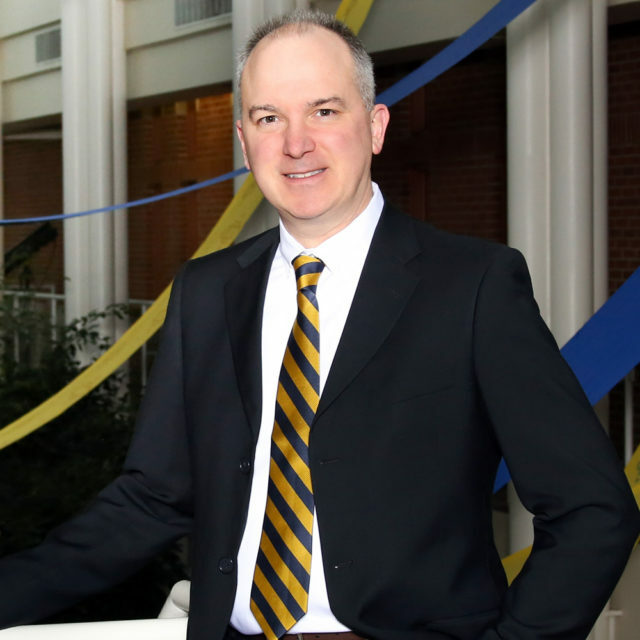 Clarke University announced the appointment of Thom D. Chesney as its 16th president. An accomplished leader, educator, and community volunteer, Chesney is currently president of Brookhaven College, part of the Dallas County Community College District (TX). Chesney’s appointment, the result of a unanimous vote of the Board of Trustees, was announced by Robert C. Wahlert, chair, during a campus-wide event on Clarke’s campus. He will assume his responsibilities on July 15, 2019, following the retirement of President Burrows after a successful 13-year tenure at Clarke. Chesney has led Brookhaven College as president since 2011, helping to provide transformative educational programs, learning opportunities, and lifetime experiences to its students. Among his accomplishments at Brookhaven are the stewardship of a strategic plan that drove increased student enrollment, retention, and graduation rates, as well as public/private partnerships, international engagement, faculty and staff development, and resources. In addition, he led the college district’s team that created, in partnership with the Dallas Independent School District, 19 early college high schools at the seven DCCCD colleges over a period of two years and crafted transfer agreements with more than 12 public and private institutions of higher education to provide Brookhaven students with ways to minimize credits taken and debt incurred.